Andhra Pradesh Airports Development Corporation Ltd.
Andhra Pradesh Airports Development Corporation Ltd. (APADCL), formerly known as Bhogapuram International Airport Corporation Ltd (BIACL), was formed as a SPV under Companies Act 2013 by Government of Andhra Pradesh as per G.O. RT. No. 63, I&I (Airports) Department, dated: 20/05/2015. The Corporation was renamed as APADCL as per G.O. MS. No. 30, E, I&I (Airports) Department dated: 24/11/2017. APADCL is 100% owned by Government of Andhra Pradesh for speedy implementation of Bhogapuram Airport Project comprising an International Airport, Maintenance, Repair and Overhaul (MRO) facility and an Aviation Academy. 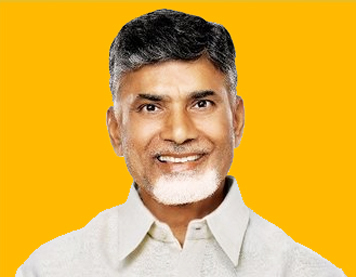 APADCL will be a project proponent for developing the four Greenfield Airports at Bhogapuram (Vizianagaram District), near Visakhapatnam, Kuppam (Chittoor District), Oravakallu (Kurnool District), Dagadarthi (SPSR Nellore District). Andhra Pradesh Airports Development Corporation Limited (formely known as BIACL) was formed on 20-05-2015 and renamed on 24-11-2017. Administrative officeAPADCL, 1st floor, Block A, Anjaneya Towers, Ibrahimpatnam, Vijayawada, A.P - 521456. Local officeAPADCL, 1st floor, FDC Complex, A.C. Guards, Masab Tank, Hyderabad - 500 028.